The first few days of our trip we spent camping on the first lake on the Gunflint Trail right outside of Grand Marais. We chose this lake because it was my first time camping and we wanted to be close to town and where we were staying the rest of the week. 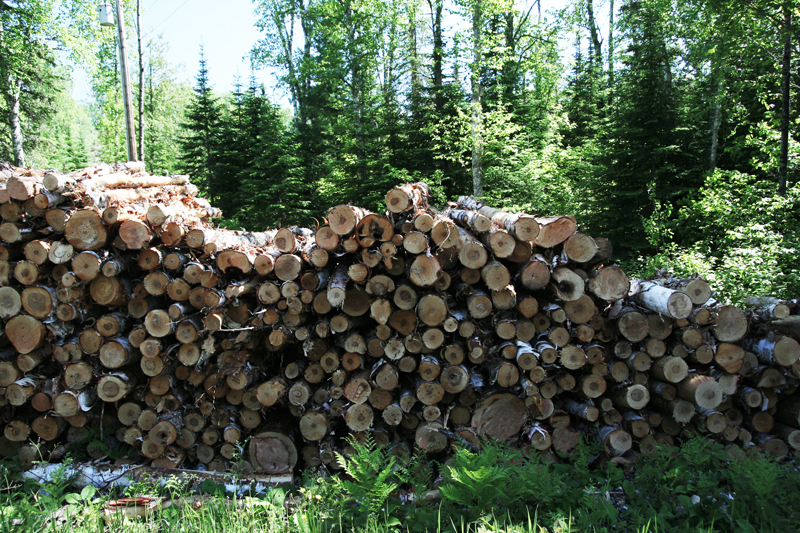 It is not your typical Boundary Waters lake, there are plenty of cabins, homes and motorized boats. It was quiet, calm and peaceful but we were not alone. The campsite was clean and had everything that you might need except a shower. It is not a state park, but it did have a very nice and clean bathroom facility. We spent majority of our time out on the lake in our canoe fishing, swimming and enjoying the lovely weather. 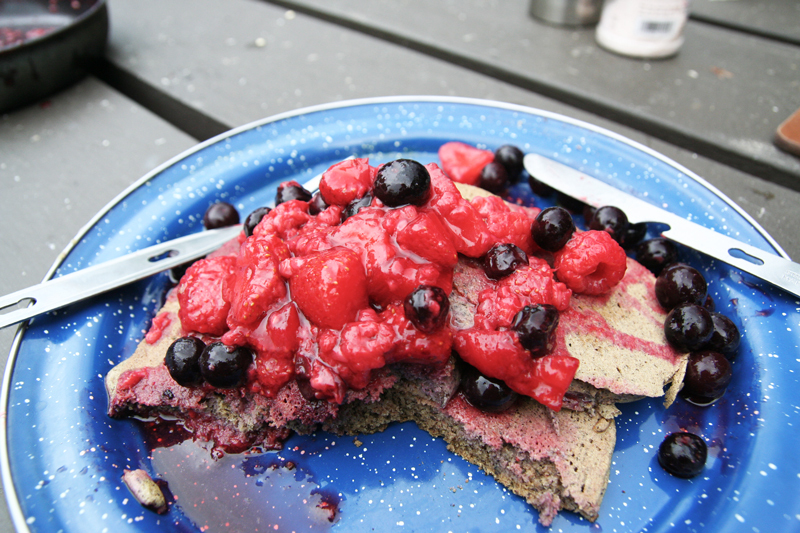 We made my buckwheat pancakes in the morning with warmed berries as a topping, it was amazing. It does get really chilly up there at night, bring lots of warm blankets. This is Graham’s favorite golf course in Minnesota. 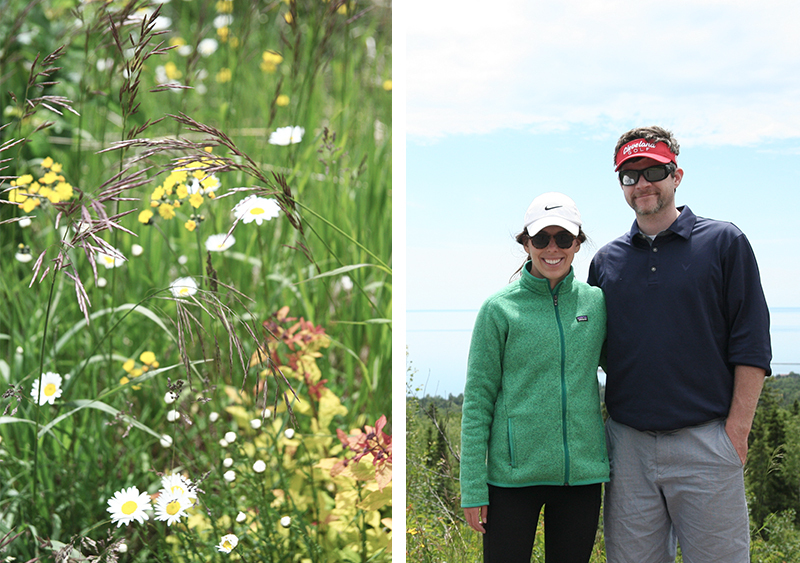 He gets so excited every year when we come to Grand Marais because of Superior National Golf. 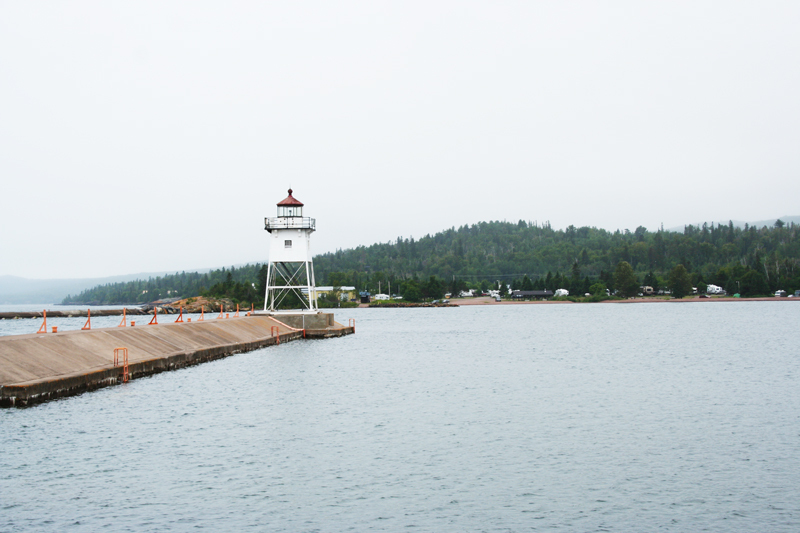 He talks about it for months before, saying we need to be on the top of our game going into Grand Marais… it is so cute! 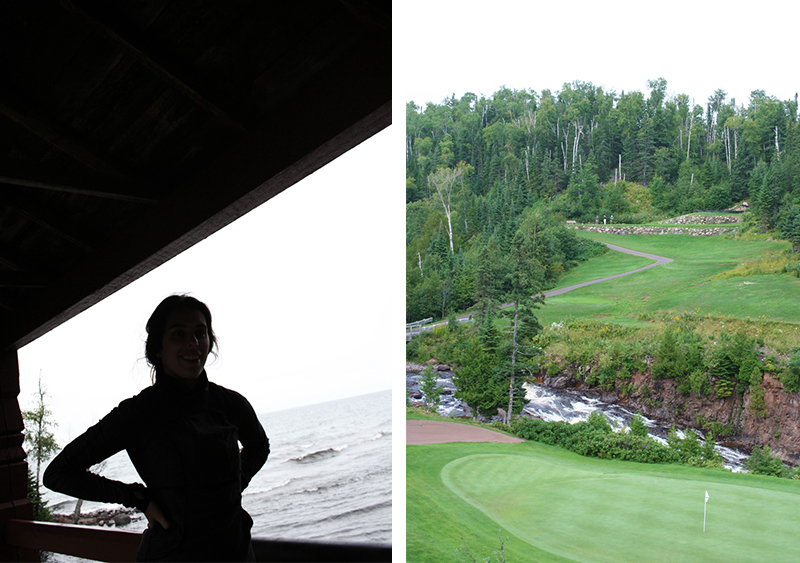 Superior National is a tough course to play, and it is designed to challenge even the seasoned golfer. We bring lots of golf balls, and every time towards the last few holes we always end up in the woods searching for more golf balls. Stone Harbor is right next to the lovely Co-op there in Grand Marais. They have amazing product so if you accidentally forget anything for your camping or fishing trip they have literally everything you may need and more. If you go onto their website, link above and click the tabs either for summer or winter tours you will see in further detail what I am talking about. 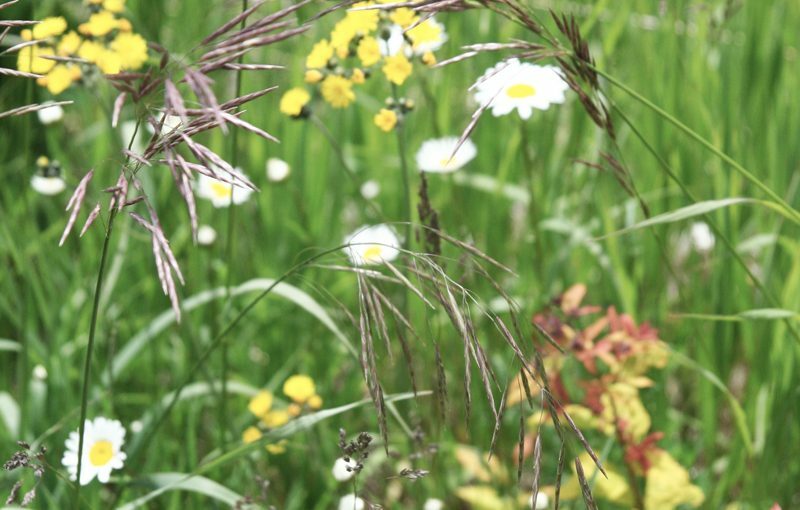 They offer all different types of tours and day trips with seasoned professional guides. Some of these awesome activities include, BWCA day trips, fly fishing, hiking tours, kayaking, rock climbing and stand up paddle boarding! Also, if you do not specifically want to go on a tour or day trip you are able to rent gear. For example, if you would like to go camping and canoeing but do not own any of your own gear… instead of making that huge expense of buying all your own gear, you can rent all the latest and greatest product for a fraction of the cost at Stone Harbor! In the quaint little town of Grand Maris you would only assume you would have a hard time finding delicious organic fresh food. Well, I was totally wrong and I am pleasantly surprised every time we visit how amazing all of the food is. 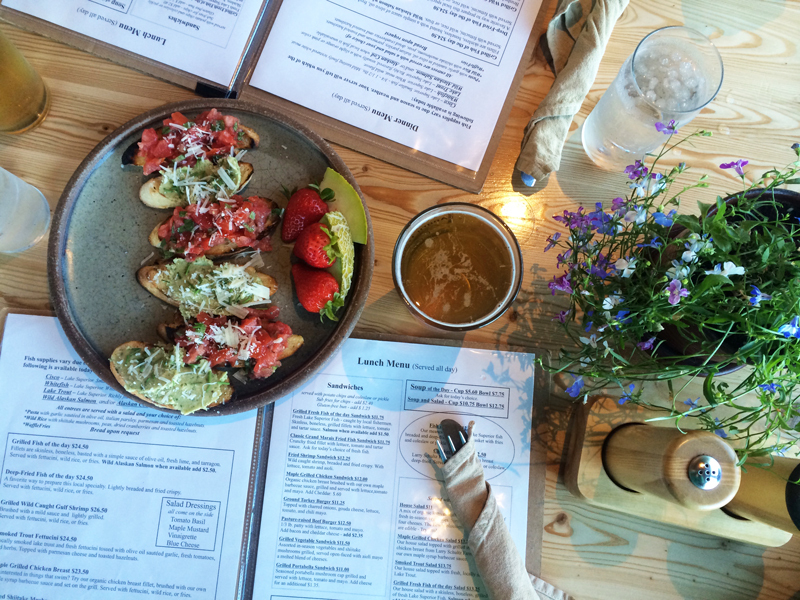 Angry Trout is really something special, it serves up fresh salads, seasonal Lake Superior trout and local brews. Everything in their cafe is handmade, their dressings, tables and even the pottery. The effort, care and passion for what they do is unmatched and you can taste their love and passion in your food. 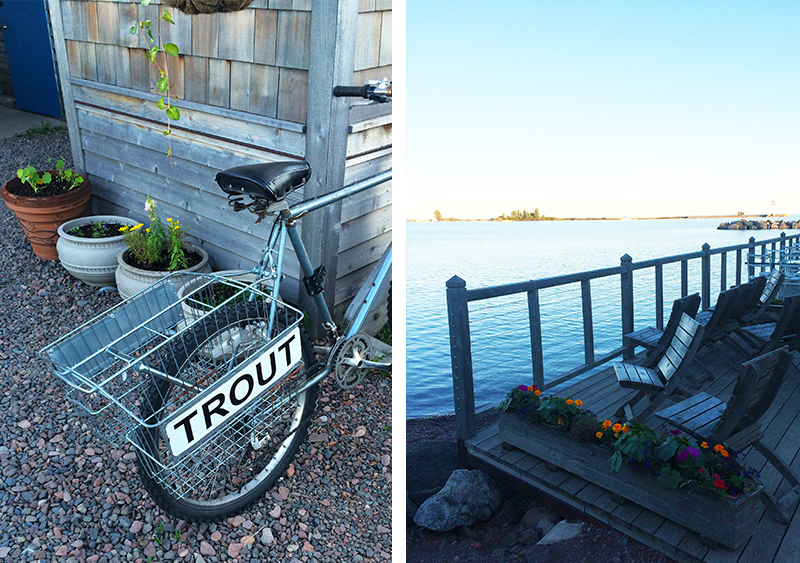 I felt so grateful for this beautiful, quaint Co-Op during our trip to Grand Marais. 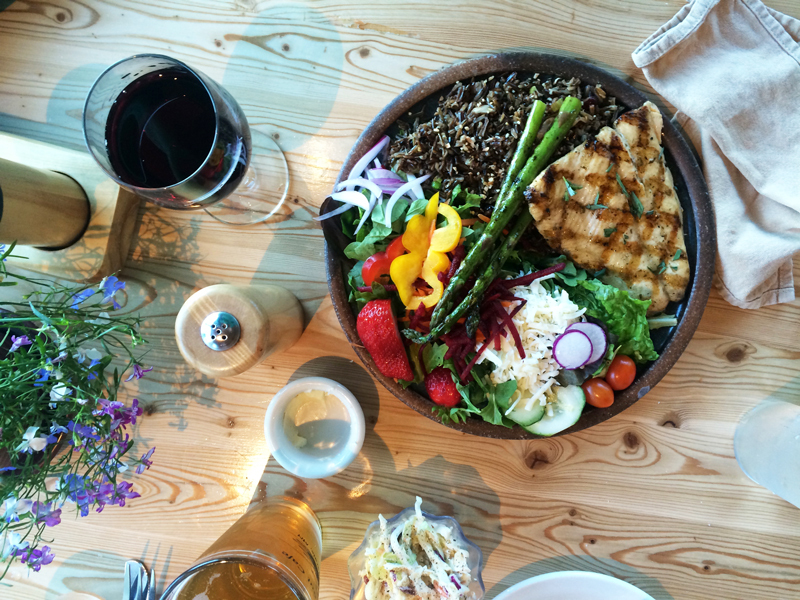 This place, has delicious organic and local food at reasonable prices which makes eating healthy and cooking in Grand Marais a breeze! 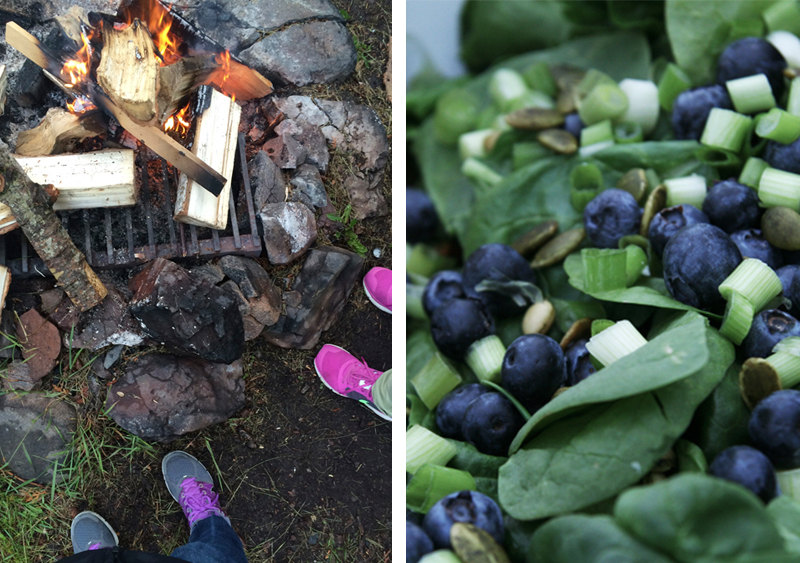 We spent a lot of time cooking during our trip and we were very thankful to have such a beautiful place like this. My favorite thing that you can not find in the Twin Cities is their baked goods. 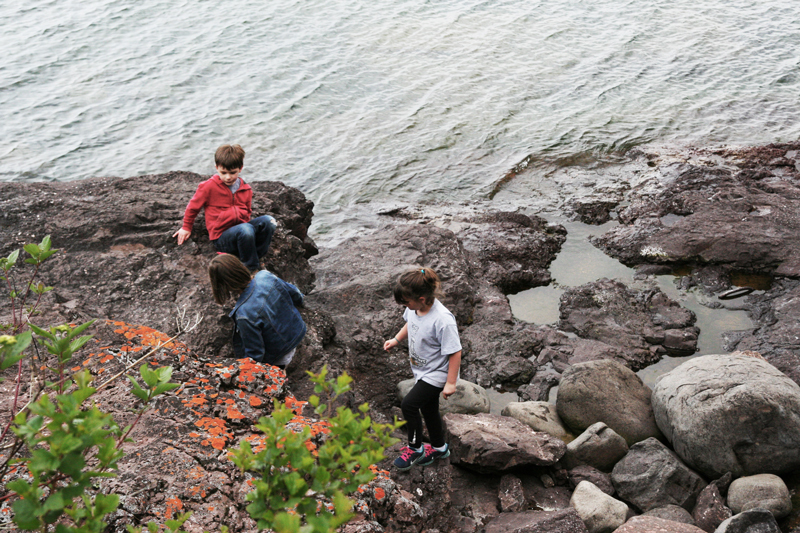 What an amazing addition to Grand Marais! They serve up delicious beer and awesome little bites to keep you happy. 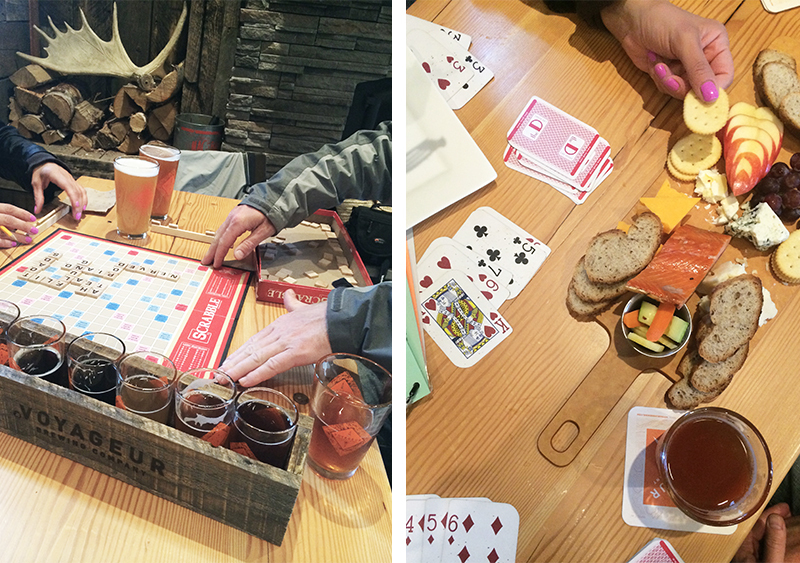 On Graham’s birthday it was down pouring rain, so we went to Voyageur Brewing Company for a few beers and bites and played fun games all afternoon! We tried everything on tap and were pleasently surprised to like them all. 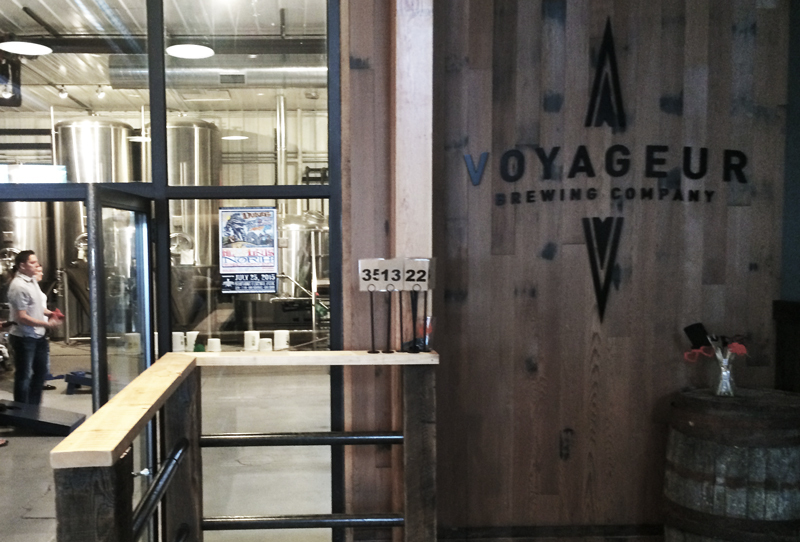 I was most fond of their IPAs, Devil’s Kettle IPA and their seasonal Boreal Imperial IPA. We all shared the fisherman’s picnic board and a few orders of their fried cheese curds. We played one intense game of scrabble and too many rounds of Rummy-500! It was perfect for a rainy day. I felt so at home at this beautiful place, I did not want to leave. This was the cleanest and most friendly accommodations that I have ever stayed in, I highly recommend staying with them in Grand Marais. The owner, Lee was incredibly friendly and made our family feel extra special. When we would grill and picnic in the beach area Lee would come out with games and activities and socialize with us. The rooms themselves are adorable, well maintained and incredibly clean. I did not take enough pictures, you will just have to trust me on the adorable part. We had a room with a full kitchen and living area, which was very luxurious, and we loved it. During one of the family dinners we made this delicious blueberry salad with Salad Girl Dressings, see recipe on this post here. At night we would start a bonfire, laugh and spend time together. I was so comfortable here I think I slept better than I do at home during our stay.